Morning.. I'm still here!! life is still crazy! Hi.. So my aim to blog more didn't really happen, life is a crazy as it was, but most of all my mojo has taken an extended vacation and I have no idea when it is thinking of returning. Juggling everything when you are pretty much away from home Monday to Friday is hard work.. I never realised how much I did in an evening before. So, although I will not be around every day, I will try and post a couple of creations a week and see how I get on. 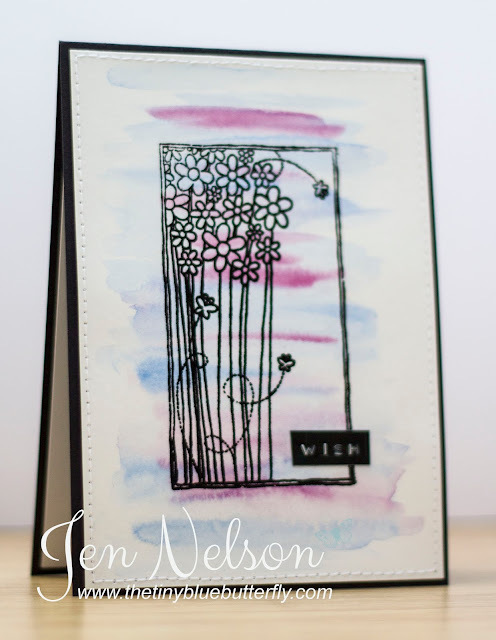 Todays card is for Craft Stash ... using a Apple Blossom die . You can find them here. Hope you all have a great Sunday, my afternoon will be spent helping dad tidy up the back yard after having it renovated.